That’s what the insurance company agent said after 4th grader Marcos lost control of a bottle rocket while playing with it on school grounds on a Saturday. The bottle rocket lit up a bush next to a classroom, starting a fire that caused $300,000 worth of damage to the building and its contents. He was arrested and also suspended from school. The authorities who reviewed his case offered him and his mother a choice: restorative justice, or take his chances with the courts. 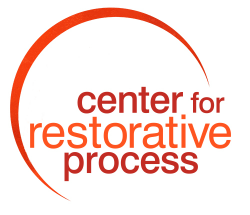 They chose restorative justice. The restorative circle included Marcos, his mother, the school principal, and the insurance agent. Her job is to recover as much money from people who caused the problem as possible, thus reducing the amount the insurance company had to pay. Before she came to the circle she was determined to make Marcos and his family pay the whole amount, even if it took years. Others in the circle included three firemen who had put out the fire, the police officer who arrested Marcos, and a leader trained in restorative justice who facilitated the circle. The restorative circle was the first time the insurance agent actually met Anthony and his mother, Maria, a single parent with a part-time job. As she listened to them talk, she came to understand their situation. She saw how sincerely remorseful they were, how much Anthony regretted the accident—and that, indeed, it was an accident. She understood how sincerely he wished he could fix this situation. Maria said she would do everything she could to make it right. She had only a part-time job at minimum wage, but over the years she had saved up $4,200. She offered it as a first payment. The insurance agent got up from her chair, walked across the circle, sat next to the mother and said, “Don’t take out that money. Together we’ll find a way to work this out.” Marcos agreed to help at the fire station and to help with the landscaping at the school to repair some of the damage to the grounds. He was still on probation, which everyone (including him) agreed was fair, and he had a lot of work ahead of him catch up on classwork after his suspension. But he did not have to go to juvenile hall, and his family (which could not afford it) did not have to pay a huge fine. It was the perfect crime, carefully planned by four seventh grade boys. They waited until the teacher was out of the room. Two boys stood as lookouts at opposite ends of the hallway. A third boy waited by the classroom door with an open backpack. The fourth went in and took Ms. Jackson’s laptop computer from her desk. He put it in the waiting backpack and signaled the lookout. The boys dispersed. Nobody had witnessed their crime. Ten minutes later they were all under arrest, waiting with the campus police officer in the principal’s office while their parents were being notified. The teacher had immediately alerted the principal when she discovered the laptop was missing; he called in the police; the campus was closed and backpacks were searched. The laptop was quickly found and the boy in whose backpack it was hidden immediately confessed, and told who the other boys were. The principal and teacher decided to have a restorative circle. It was attended by the four boys, their parents, the principal and Ms. Jackson, the teacher. There were also two facilitators who had been trained to lead restorative justice circles. One of the first questions asked was “What happened?” This gave the boys a chance to explain what they did and what they were thinking. They felt embarrassed and ashamed as they told their stories. The “reasons” they had for stealing the computer sounded pretty lame when they had to share them, and they knew it. The teacher told the story of how she came into the room and discovered her laptop was gone. At first she didn’t believe it; she wondered if maybe she had left it at home. It was hard for her to believe that it might have been stolen by students. Then she went to the principal’s office to report the theft, and that’s what led to the arrests. As she tearfully explained, tears also appeared on the faces of the boys. The sat up and uncrossed their arms so they could wipe away the tears. Finally, they understood. For perhaps the first time, they realized that what they do affects other people in very important ways. They did not expect that their actions would be so hurtful to Ms. Jackson, and they didn’t understand until just now, when she shared. It was a huge moment of realization for them. After Ms. Jackson shared, the restorative circle was able to make agreements about what the boys could do to make things right. What do you think should have been in the agreement?